Inspiration : Diabetes is one of the disease which is undying and needs constant care with short and long term effects.The patient must always be aware of his diet,work,medication..., To remove impact of diabetes on daily life and prevent long term consequences by daily care.There should be time to time monitoring of their glucose levels and should be balanced with diet and exercise adding stress on patient which further increases the risk.The busy lifestyle makes us unable to focus on our body needs which undermined for long times may lead to unanticipated health complexities.So to promote health by prompting and incorporating healthy regime with combination of sensors,wearables,voice technologies and mobile apps. What it does : Main concern is to reduce the incidents of breaking down due to drop of glucose levels in daily life. prevent them exercise and medications are to be regularized. alert the patient.The study also helps to set diet, medicines and anticipate future health concerns . Modules: 1.Wearable MEMS,biosensors,polymer sensors combination to obtain body parameters in invasive way. 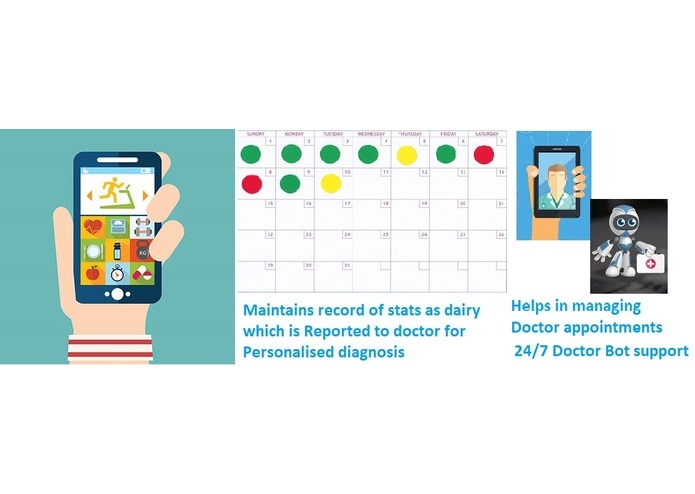 2.Mobile app to process and interface with patient. 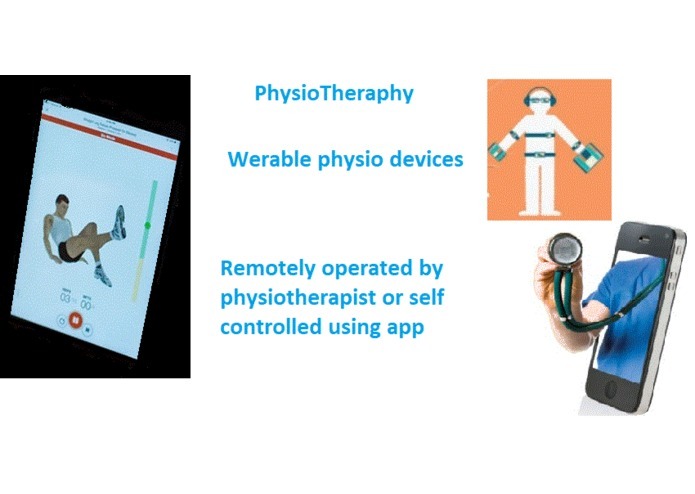 3.Design wearable basic physiotherapy devices. App Functionalities: Obtaining data and synchronizing with app to monitor body continuously. 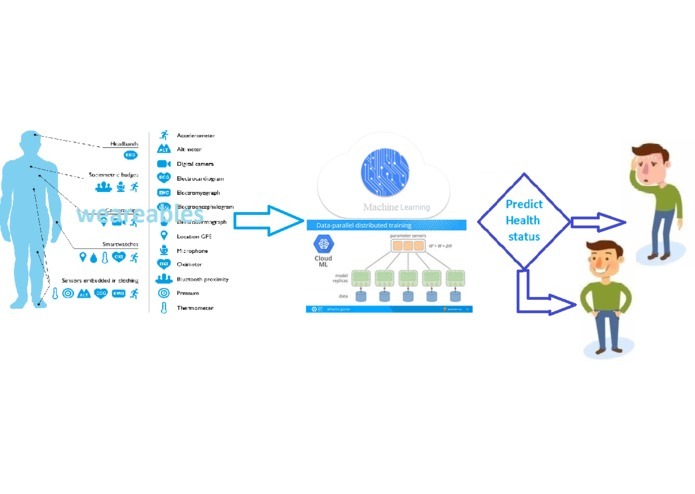 Cognitive services: AI:Analysis of data from wearables and predicting when the patient is likely to fall out.Uses anomaly detection and other learning techniques to mine the data. 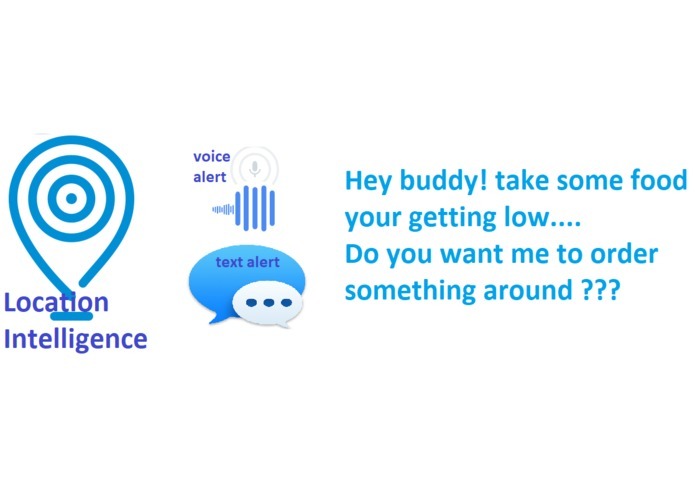 Location services:To learn the patient activities and choose apt way of communication and services based on their current location.Example : To learn whether the patient is at home,work... and using appropriate way to provide services like if at home voice services are used to communicate if at office messaging services...When any incident is predicted the patient is alerted to order food nearby ,call someone ...by using voice activation. 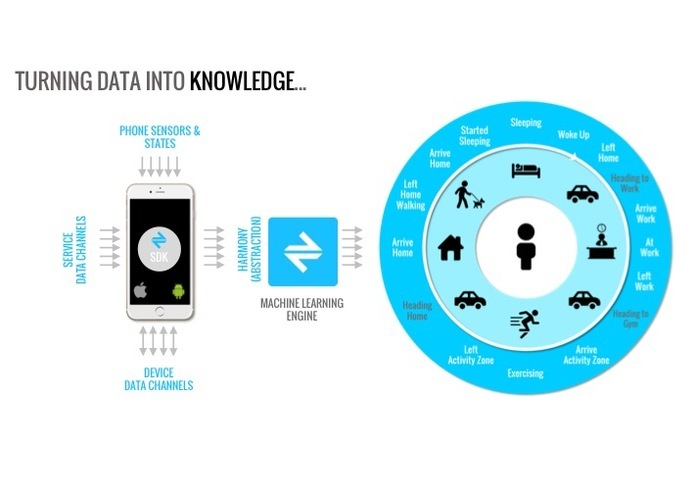 There are already build mobile supported location based AI services like Neura,TRNQL....and many smart libraries. 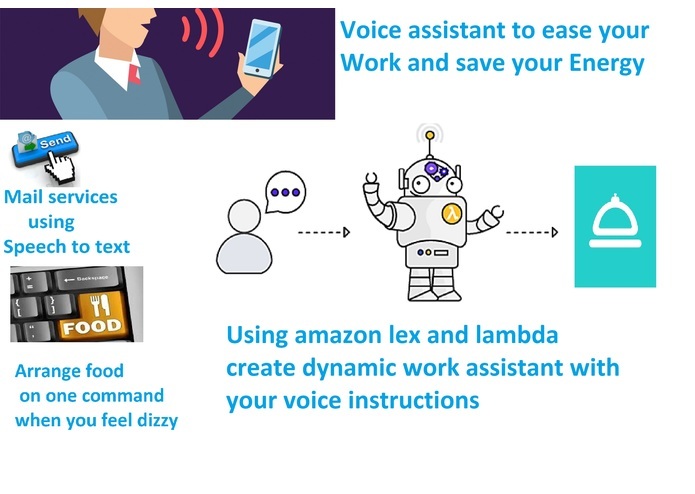 Voice services:Communicating the body condition and nursing patient about the doable activities.Assisting in other works like sending email ,order food,etc by using voice technology.The patient can inform the details of his food consumption to app by voice without any overheads of texting for better understanding of their diet. 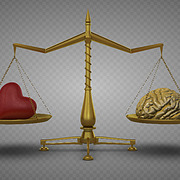 introspection ,motivation by communicating with user and analyse their state of mind. 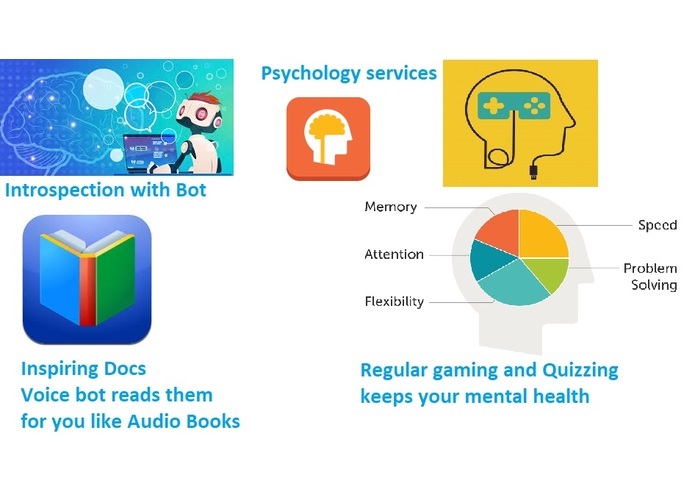 Example : Talking with user like a real human and study their moods and suggest activities to improve it. The app helps to manage all possible effects of diabetes and with AI support the better understanding of patient anatomy is possible which helps in diagnosis.Main aim is to utilize all available technologies to handle diabetic patients efficiently. We cant root out diabetes but why not erase the chaos and regularize the life.